Snæfellsnes Peninsula is known as a miniature version of Iceland. 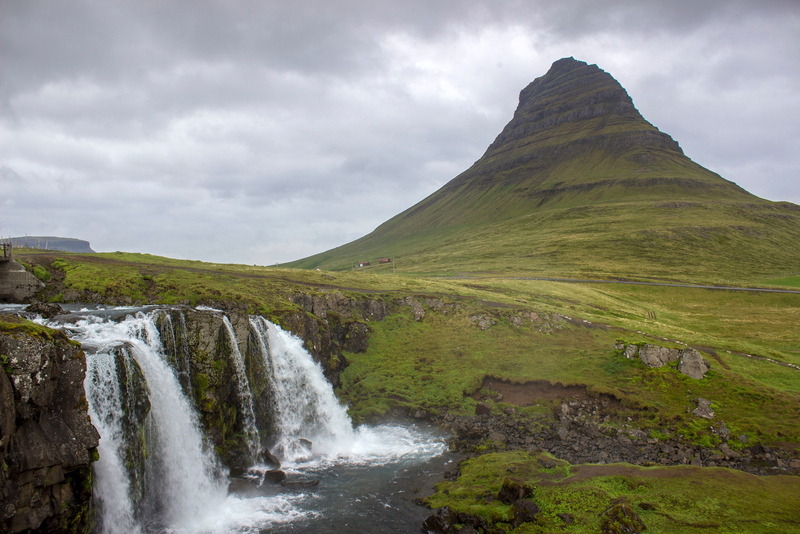 In the planning stages of our two week trip to Iceland, we heard that the Snæfellsnes Peninsula Iceland was a miniature version of the country. There are mountains, caves, gorges, craters, waterfalls, beaches, and ocean views. 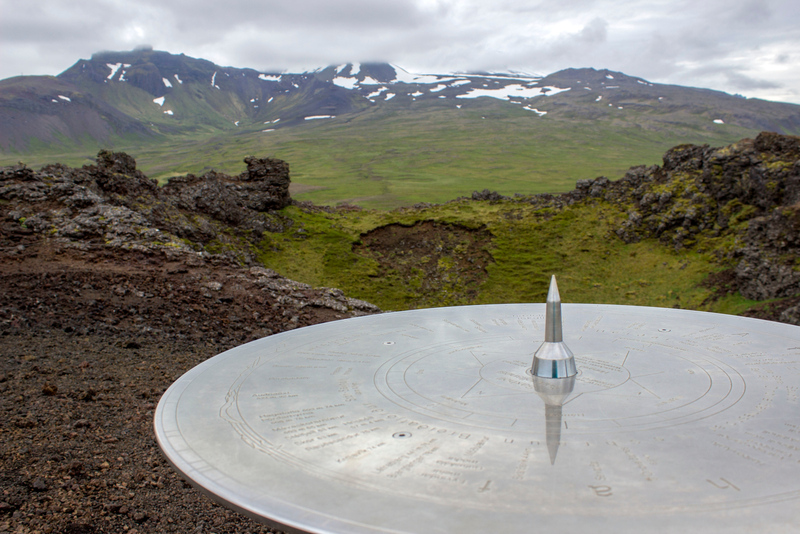 Essentially, it’s all of Iceland condensed into one smaller region that can be seen in a day. 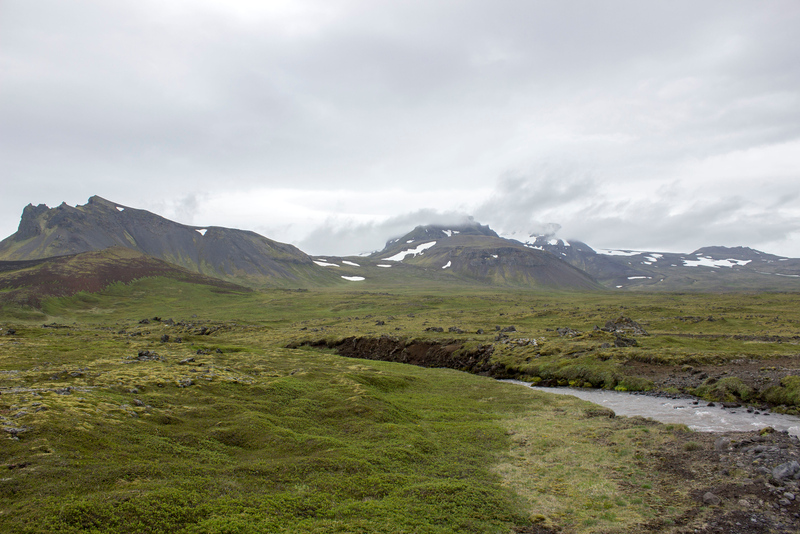 When Justin and I travelled there, it was at the end of our journey around the Ring Road and Westfjords. We took a ferry from the Westfjords to Snæfellsnes. 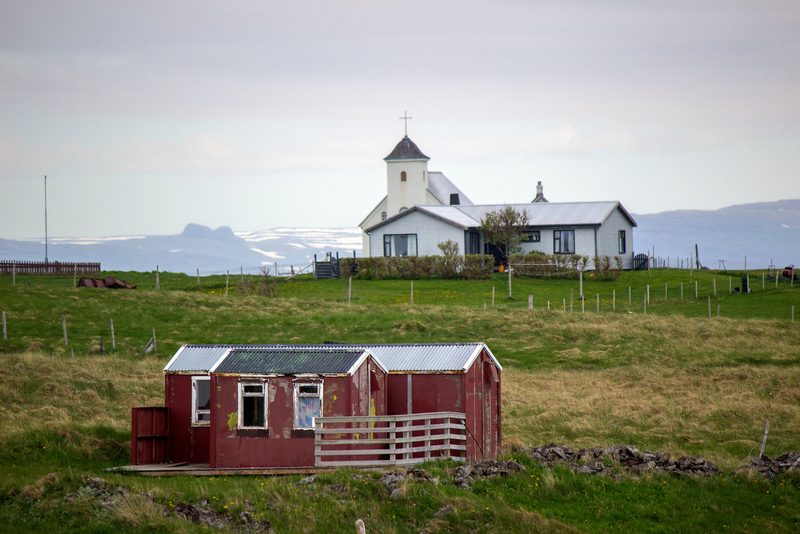 The more popular route is to drive from Reykjavik to Snæfellsnes as a day trip. No matter which way you choose, I highly recommend that you explore this magical region of Iceland. Justin and I drove in a counterclockwise direction around the Snæfellsnes Peninsula Iceland. 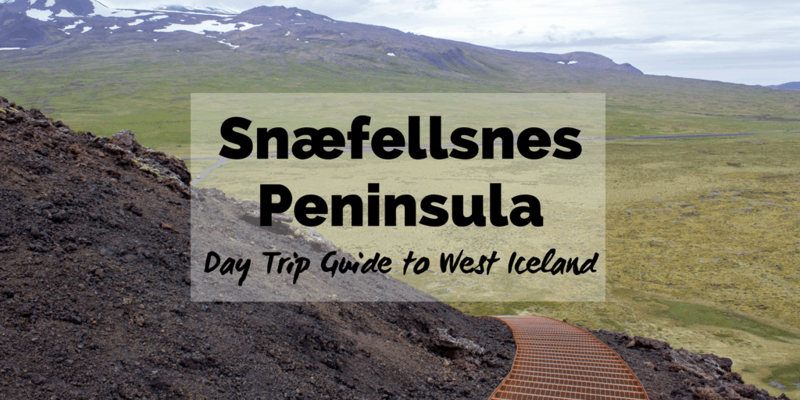 I’ll highlight a few interesting sites where we stopped on the way, through Snaefellsjoekull National Park and beyond. It’s Iceland’s most photographed mountain and it’s stunning! 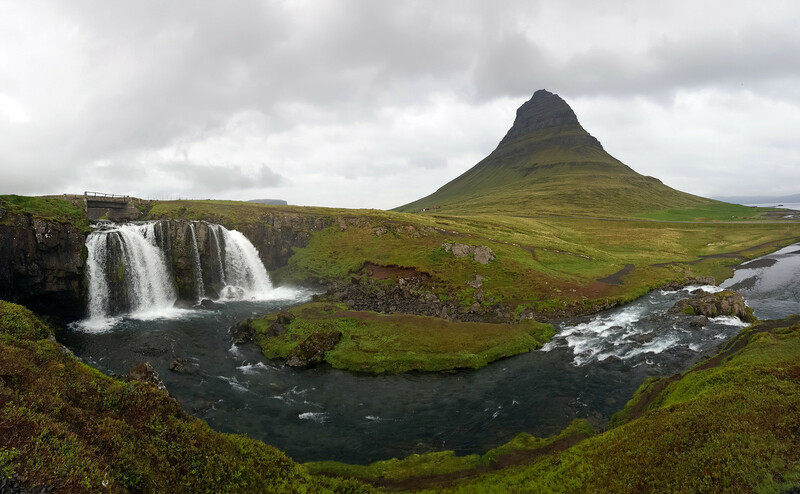 Kirkjufell is a mountain you’ve likely seen in pictures before, but it’s even more breathtaking in person. 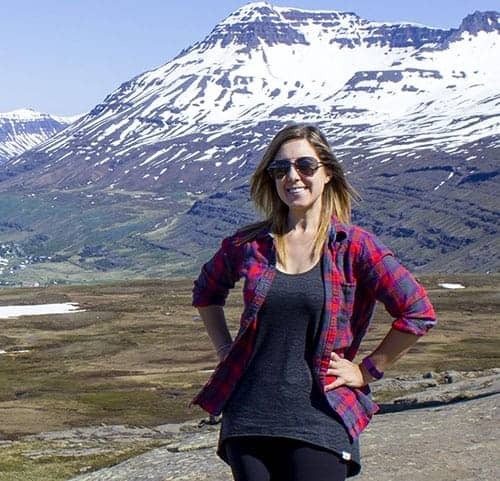 Translated as “church mountain”, it’s a 463 metre high mountain near the small town of Grundarfjörður. 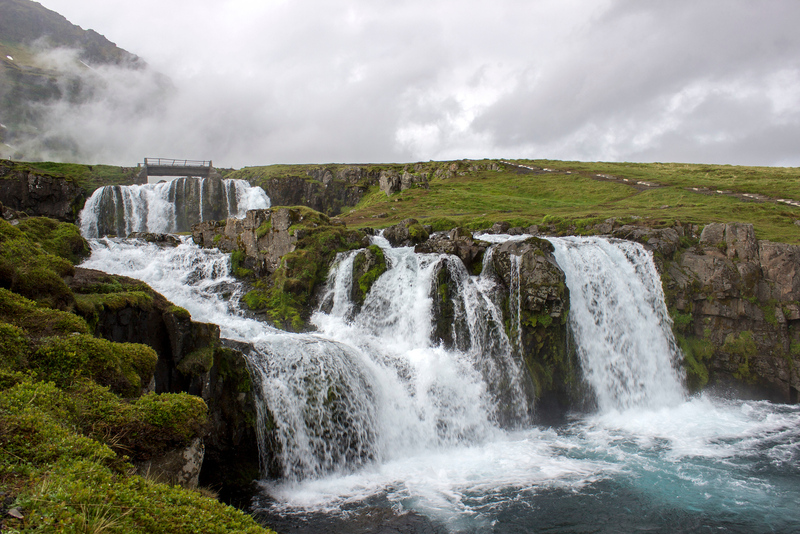 It’s featured in Game of Thrones, but was always a highlight for tourists to Iceland for many years before the show aired. With the mountain looming in the background and a winding river with waterfalls in front, it’s a beautiful scenic spot for viewing and photographs. 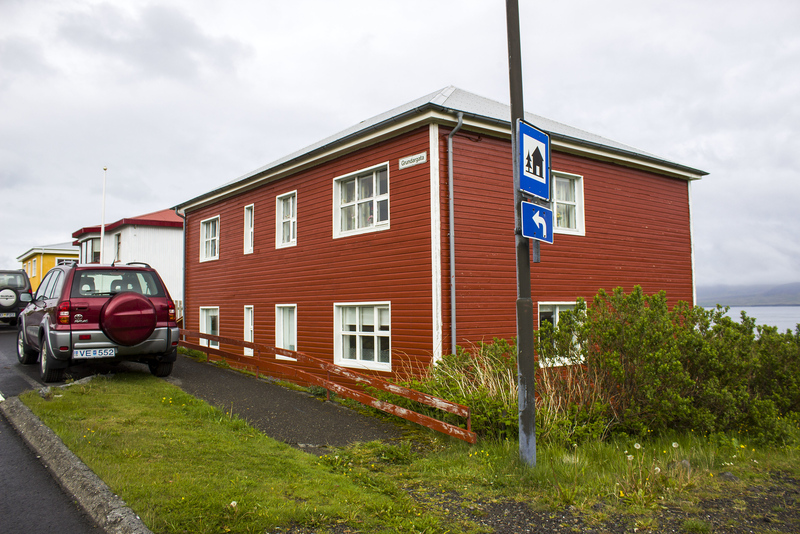 As Justin and I stayed in Grundarfjörður, it was less than a 5 minute drive from our accommodation, meaning we could visit it easily whenever we liked. 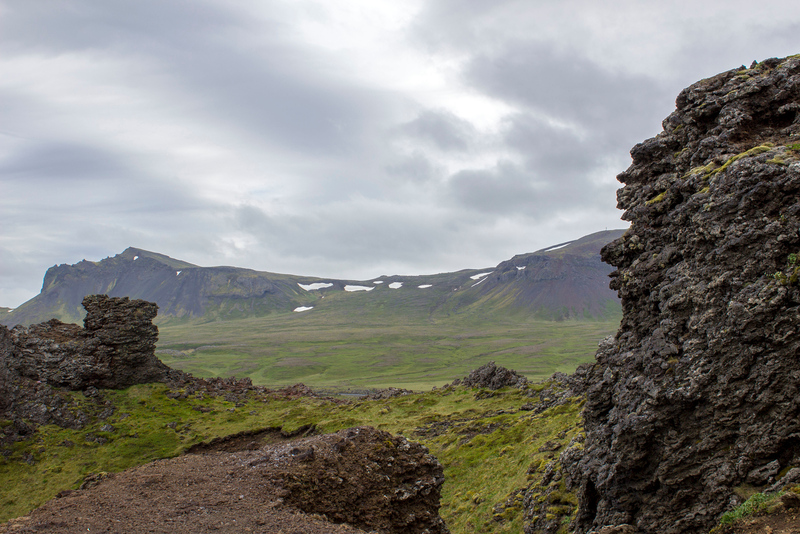 On your way around the Snæfellsnes Peninsula Iceland, you’ll drive through the Snæfellsjökull National Park. There are numerous stops along the way. Just like in the entirety of Iceland, stop anywhere you’d like along your journey (as long there’s parking and it’s safe to do so!). 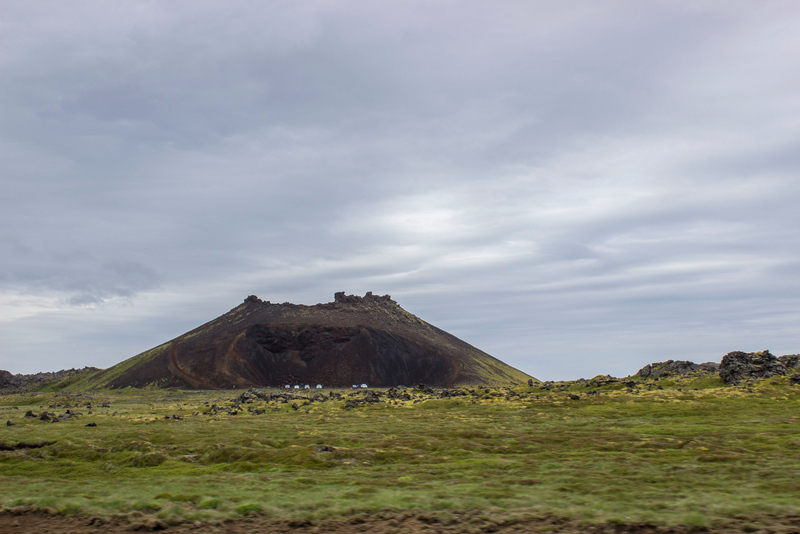 With Snæfellsjökull Glacier looming in the distance, it’s a spectacular drive with continually gorgeous scenery all around. 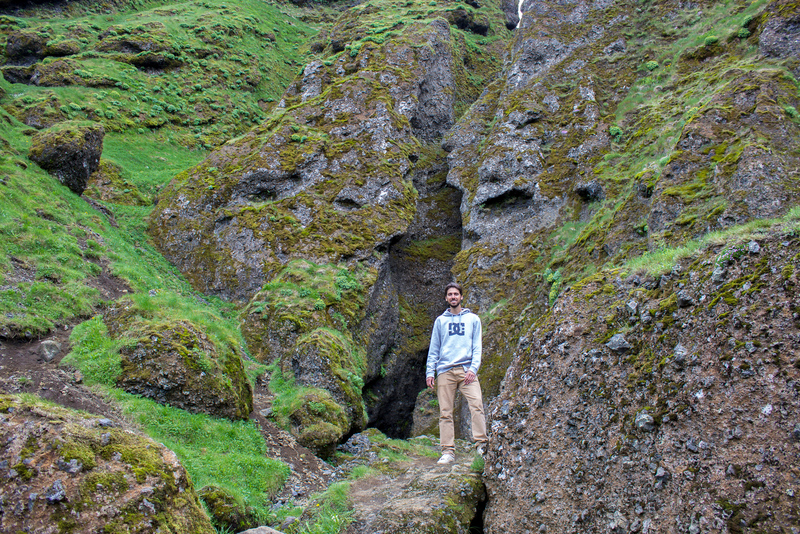 Saxhóll was an amazing natural attraction that Justin and I stumbled upon on our road trip. It’s a crater from a volcano that erupted 3000-4000 years ago. Saxhóll is 109 metres above sea level, and there’s a staircase that makes climbing to the top a breeze. Once you get to the top, make sure you stay on the path. This site is very delicate, so please do not damage the sensitive nature of the crater by venturing off the trail. Also, please do not make stone piles. 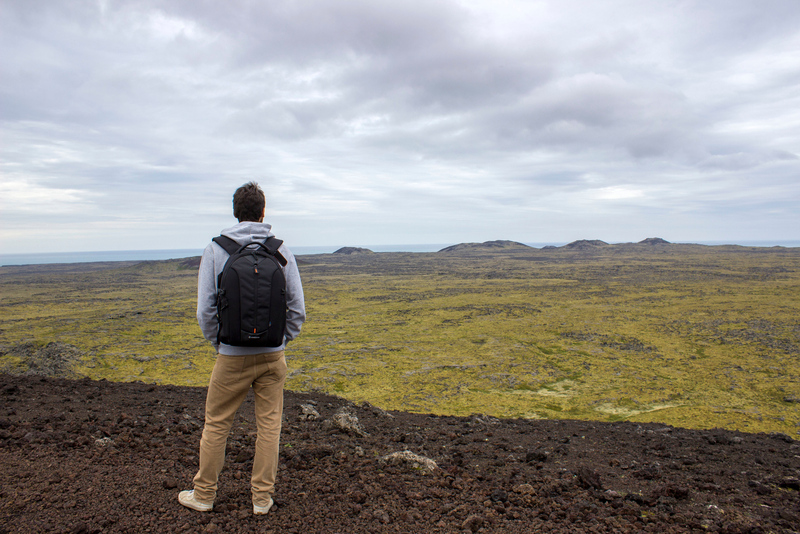 While the crater itself is fascinating, you’ll be rewarded with spectacular views of the lava fields and mountains in the distance. 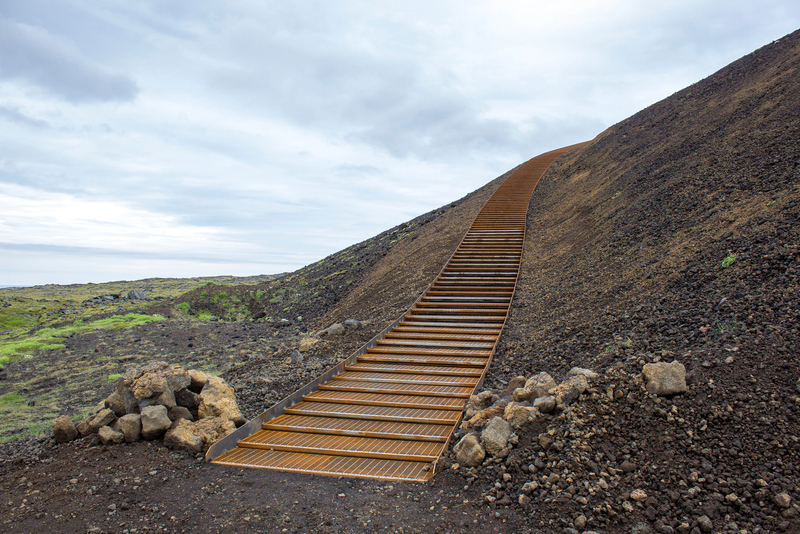 Definitely make the climb when you visit Saxhóll on the Snæfellsnes Peninsula Iceland. Rauðfeldsgjá Gorge was a complete surprise on our road trip around the peninsula. As we were driving along, Justin and I spotted a small parking lot on the side of the road. We saw a bunch of cars and decided to take our chances. 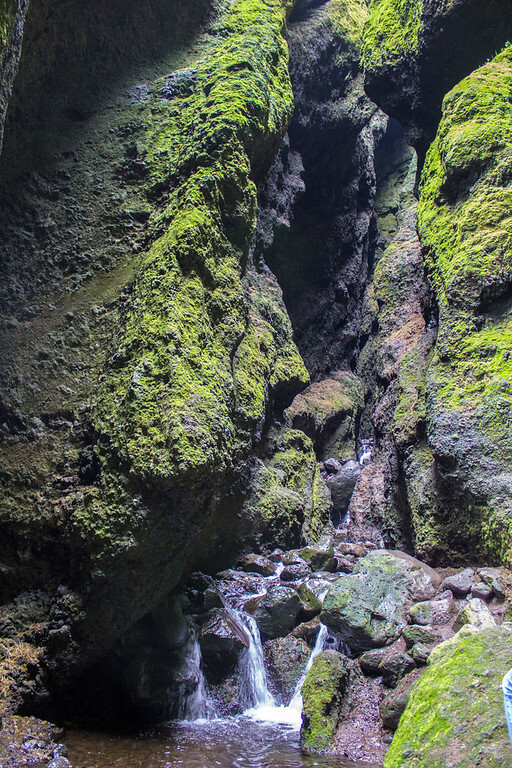 While it’s about a 15 minute trek from the car park, it’s another gorgeous natural wonder of Iceland that’s worth the trip. The gorge appears to be through an opening in the side of the mountain. While it’s possible to climb to the very top if you’re a skilled hiker, most people (including us) just entered the opening of the gorge. There’s a stream of glacier water through the middle, so remember to bring your waterproof hiking shoes. You might have to walk through the water a little bit to reach the inside, as we had to even do this in June. 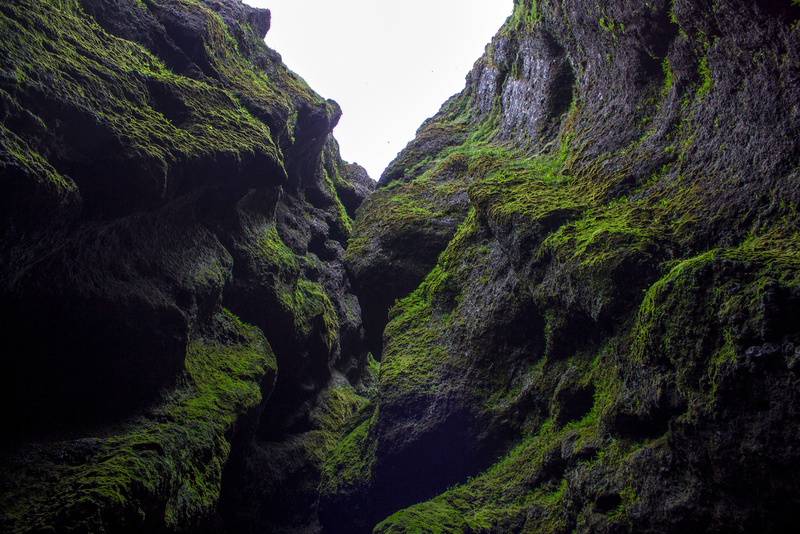 Once you reach the inside of the cavern, you’ll be in awe of the moss covered rocks that extend up to the sky. 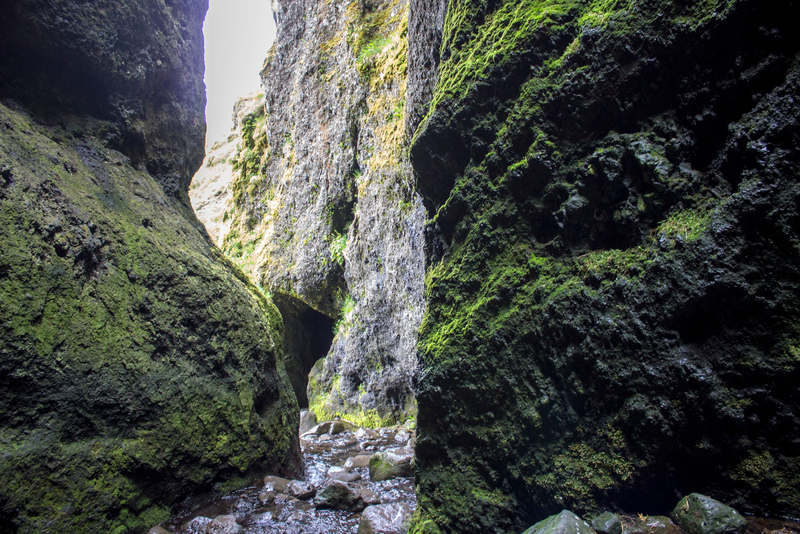 Like many places in Iceland, the gorge and ravine is named in a tragic Icelandic saga. The main character, angered by the loss of his daughter, throws his two brothers, Rauðfeldur and Sölvi, off the cliff and into the ravine. If you’re coming to West Iceland from Reykjavik, take the Ring Road to Route 54. 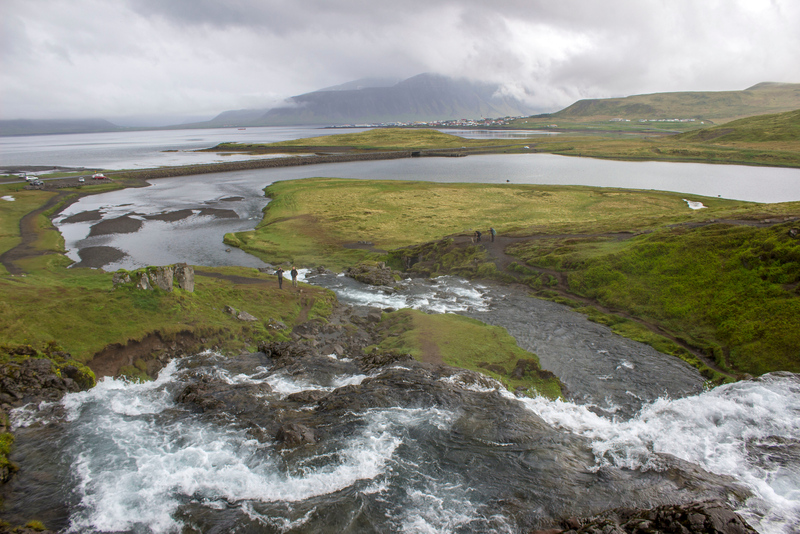 Continue along #54 until you reach the Snæfellsnes Peninsula. As I mentioned previously, Justin and I started in Reykjavik and drove counterclockwise around the Ring Road. 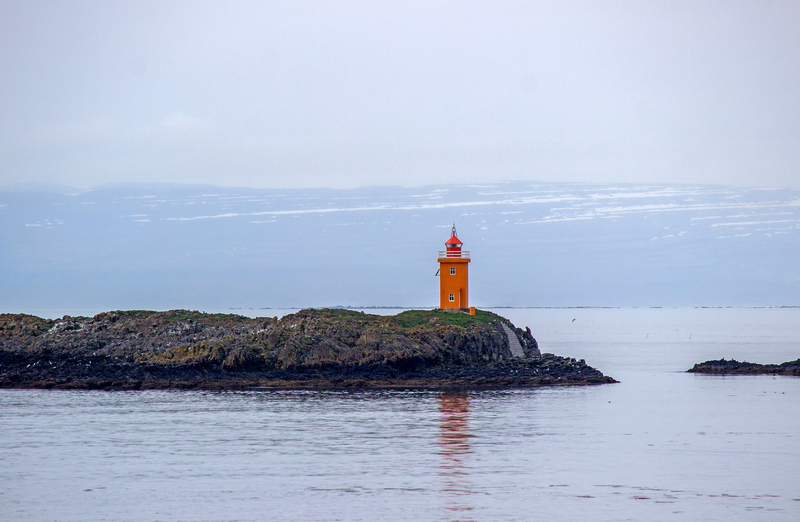 We diverted to the Westfjords for a night (did I mention that we saw tons of puffins?) and took a ferry down to West Iceland. The Ferry Baldur operates between Brjánslækur and Stykkishólmur; check their schedule for more details. 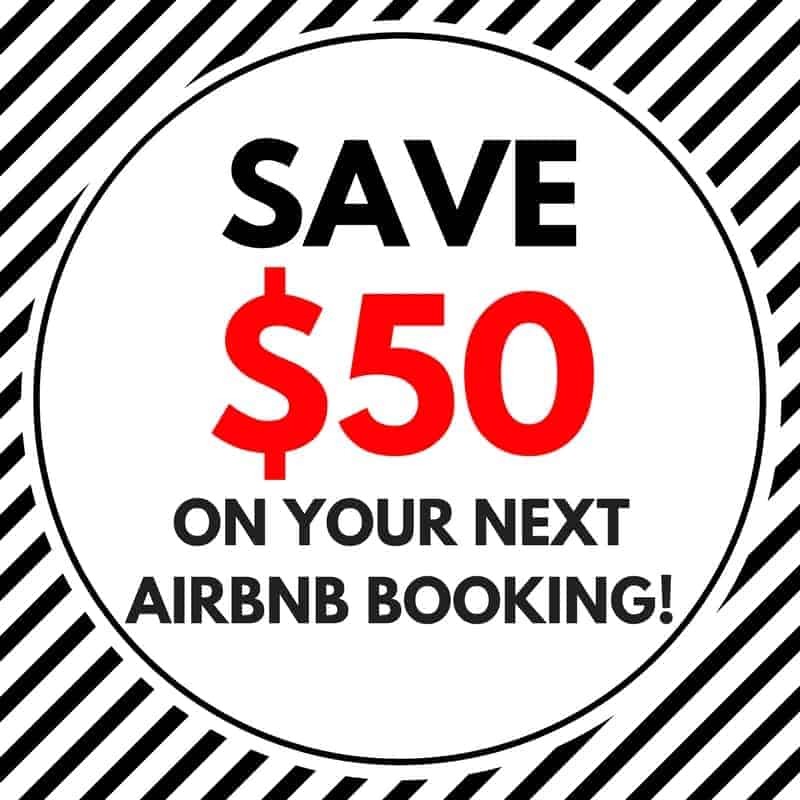 Tip: If you’re doing a self drive tour of Iceland with your own car, be sure to reserve a place for your car in advance. 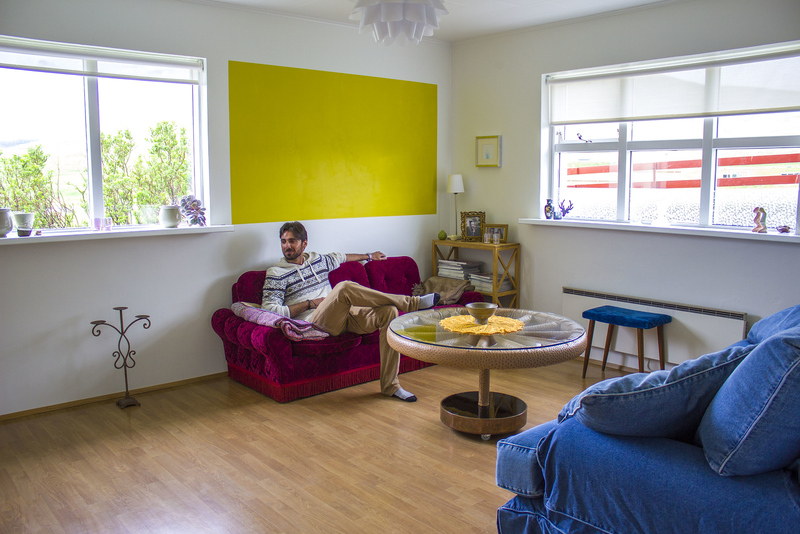 We stayed at G4 Apartment Grundarfjordur, a cozy apartment by the seaside. We totally fell in love with this small house, and it truly felt like home. G4 Apartment was very inviting and comfortable, and the owner made our stay as welcoming as possible. There were hand-painted pictures on the walls representing Iceland. Charming antiques and framed photos graced every room. The kitchen was very well equipped, with everything you could possibly need to cook your own meals and make coffee. 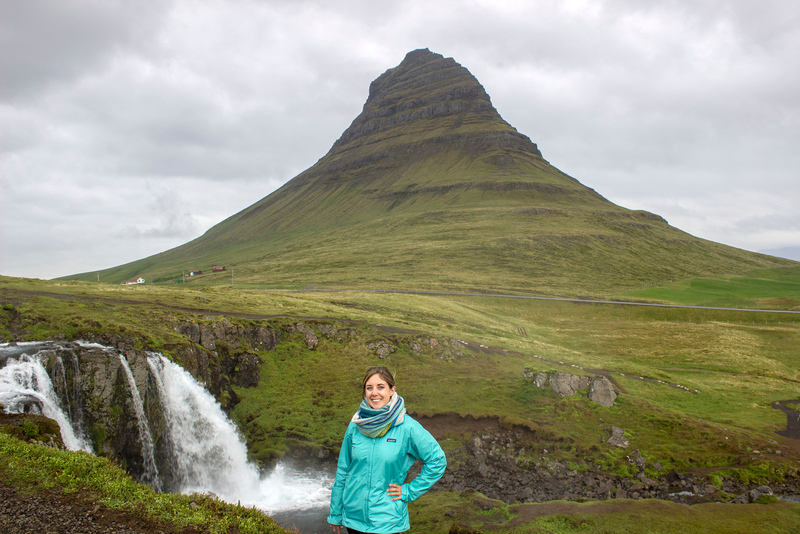 Plus, you’re right near Kirkjufell and the small town, just in case you need to go grocery shopping or purchase any necessities. 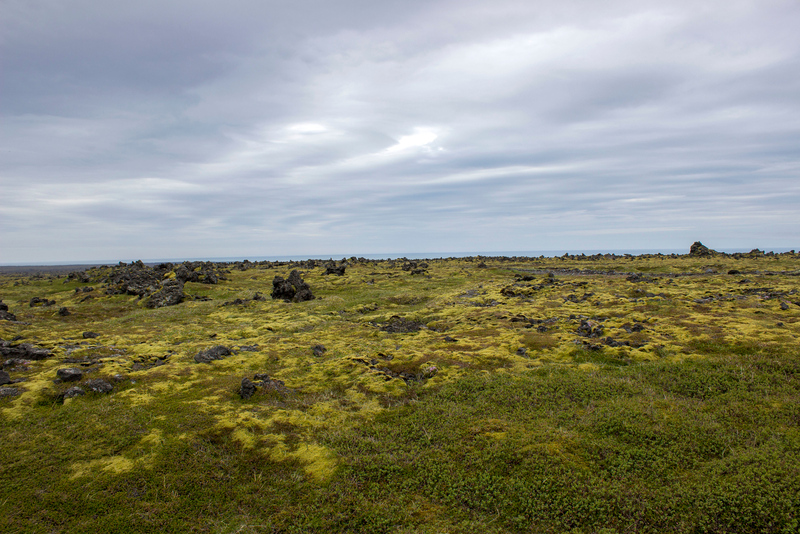 Would you like to see more photos of Iceland? 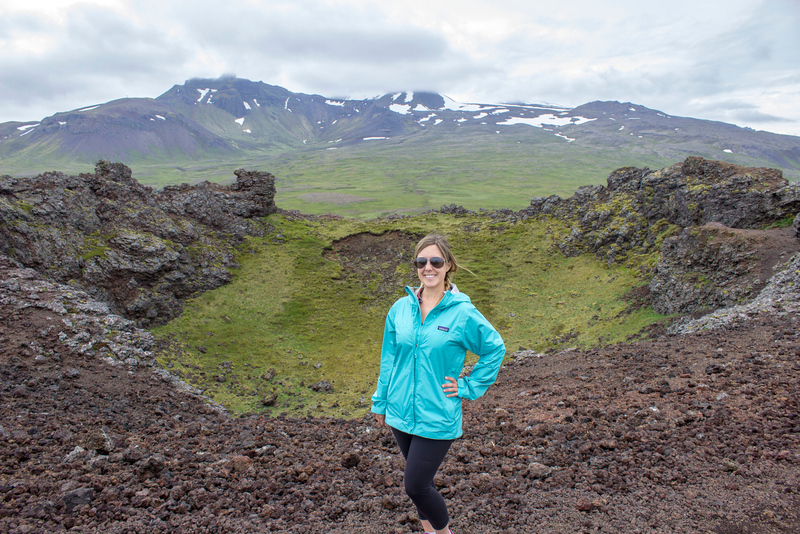 Check out our entire Iceland travel photo album! You can even purchase prints, housewares, phone cases, and more – all made from any of our photos! Convinced yet? 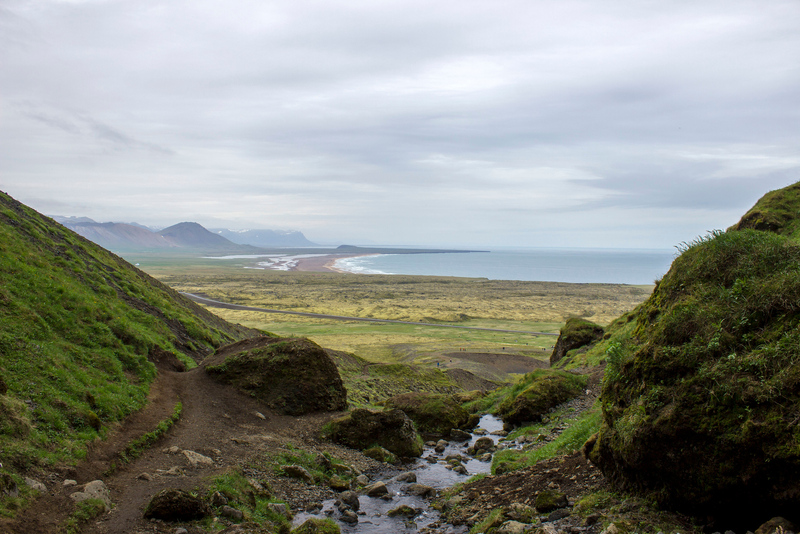 You need to head to the Snæfellsnes Peninsula in Iceland. 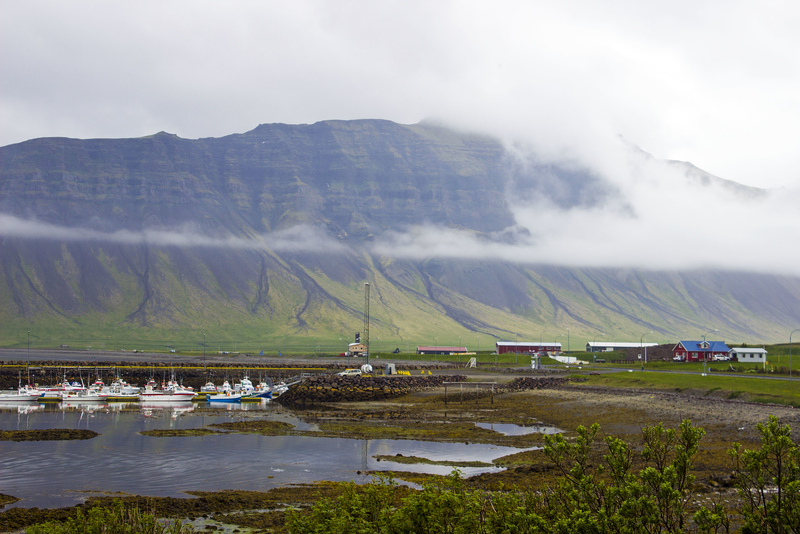 Even though we spent only about a day and a half there, you can either make the entire trip in a day (with an overnight stay in Grundarfjordur) or take your time and visit over a couple of days. If you’re a fan of nature like we are, you’ll immediately fall in love. 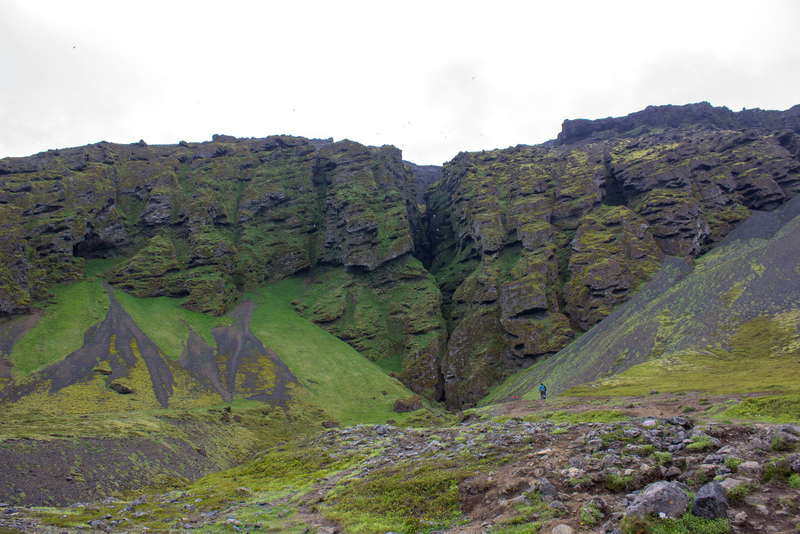 Have you ever visited West Iceland or the Snaefellsnes Peninsula? What did you love the most? Iceland is very beautiful. thanks for the sharing useful information. I love icelands. Great post! I love the Snaefellsnes peninsula. It’s like a whole other world. It’s also where we made friends with a cat. hahaha!